Espi on site: Shoko Mugikura – Vertical? Horizontal? Mugikura started her talk with an introduction of why she came to Europe. 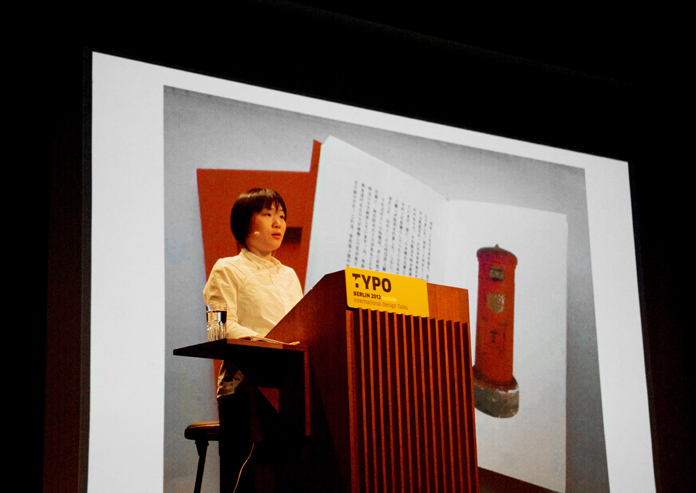 When she was a student in Japan she read Jan Tschichold’s “Meisterbuch der Schrift”. As she read the book she was enslaved by the beauty and simplicity of european typography and decided to come to Europe – now she lives and works in Berlin. She studied Visual Communication Design in her native country Japan at Musashino Art University, then gaining an MA in Book Design from the University of Reading (UK). She has been working as a typo/graphic designer since 2005 and she joined Just Another Foundry in 2010, working together with Tim Ahrens. She has spoken about multi-script typography in many countries. Mugikura introduced the japanese script system, which is composed of hiragana (a cursive script of chinese characters), katakana (some parts of chinese characters), kanji (chinese characters) and the latin alphabet. She explained how each script is used in text: kanji is used in a text for part of nouns and verbs, hiragana is used for grammatical supplements, katakana is used for foreign words and names of foreign places. 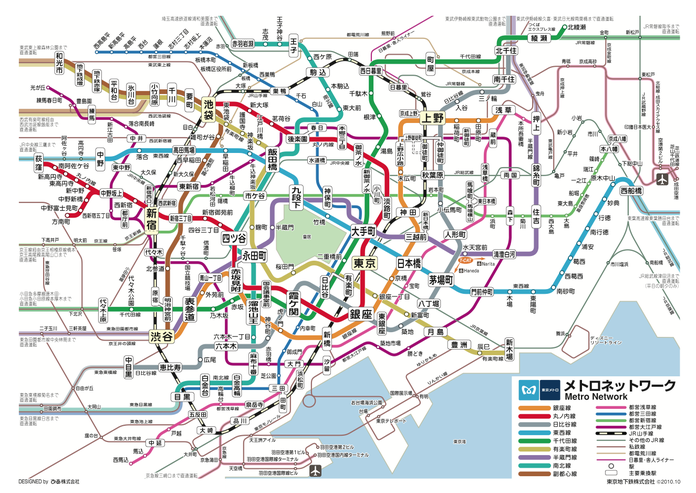 How often each was used in a text was also explained: about 60 percent of text is composed of hiragana, 20–30 percent of text is composed of kanji and 10 percent of text is composed of katakana, the remainder is filled out by punctuation and symbols. She explained the reasoning for no word spacing of japanese text is the mixing of different scripts clearly shows the reader the words end. In the past changing the script system to something using only katakana (phonetical characters) and word spacing was attempted but this writing system was not widely adopted. Such subjects are perhaps a little difficult for European people to understand, because they don’t know about Japanese language, scripts and culture, but Mugikura showed many examples and talked with a quick tempo making it fun and interesting. The main topic of the talk was vertical writing and horizontal writing. she explained with many historical examples why there are both writing systems in japan and how it works. – Horizontal writing is used when Japanese scripts are mixed with the latin alphabet (eg. dictionary and science reports), mathematical texts, public signs, web sites etc. – Both writing system are used in a information design, news papers, magazines, neon signs etc. These writing systems are also used in other east asian countries. Japanese People don’t care about the writing direction, because it’s so normal for them. From birth, everyday and everywhere they are exposed to both writing directions. Althought vertical text could be sort of weird to European people, you can however find vertical signs in western countries. It is maybe not really vertical text, but a horizontal word with one character per line. The horizontal text in Japan started in a similar way this way – only one character per line. Perhaps we will find vertical text as well as horizontal text after 100 years in western countries too, like you can see in Japan today. Who knows? At last I want to say “Arigato” to Ms. Mugikura for the opportunity to write on an interesting topic and to meet such a friendly person.